A June 18 concert scheduled at Tel Aviv University featuring selections from Wagner’s Der Ring des Nibelungen, to be led by Israeli conductor Asher Fisch, was called off after angry protests erupted. The University claimed to have not been fully informed about the program and its presenter organization, the Israel Wagner Society. Give me a break! 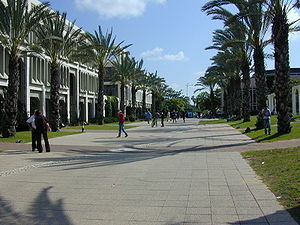 Wagner at a Tel Aviv University? Don’t we conductors think about our audience when we plan our repertoire? A little sensitivity here in a world full of violent insensitivity is a no-brainer and is called for. Of all the composers to be chosen to perform, Wagner was chosen? Art must triumph over all! Who knows the real story, but with factions of the world in religious turmoil, can’t music be an oasis, albeit a temporary one? This entry was posted in Music Industry, Symphony Orchestras and tagged conductor, Der Ring des Nibelungen, Israel, Kolman, maestro, maestro kolman, orchestra, symphony, Tel Aviv, Tel Aviv University, Travel and Tourism, Wagner. Bookmark the permalink.